Academy at the Lakes – got off to a slow start vs. FAMU and never recovered, making their trip to Lakeland a short one, losing the first game of the tournament. Their 2 best players are a sophomore and a freshmen and they will most likely be back in Lakeland next year after posting a 27-1 record prior to the Final 4. The 2 kids you need to know are So. Imani Thomas and freshmen Audra Leipold. Imani Thomas – 5’10 2017 P/F – Thomas’s problem is going to be that she’s fairly undersized for the position she currently has skills for. That could change but she’s got a thick/strong frame, not the lanky type of 5’10 kid that usually plays the 3/wing. She plays fairly hard and can rebound fairly well. She passes from the high post area and finishes around the basket. She’s probably a low D-1 kid, especially if she develops some type of perimeter game. Audra Leipold – 5’6 2018 CG – More of a shooting guard mentality, she plays the point for her HS team. She’s got adequate handles and enough athleticism to keep me from calling her unathletic. She can shoot it, but didn’t shoot a great percentage in this game going just 1 for 5 from 3. Has a chance to be mid major plus, but definitely has to grow into her body and continually enhance her game. FAMU HS – Big winners on day 1, almost getting a running clock 40 seconds into the second half vs AATL then coasting to a 74-45 win. Their overall athleticism was just too much for AATL, as was 2016 superstar Jasmine Jones who pumped in 17 first half points, as many as AATL did as a team. Jasmine Jones – 6′ 2016 SG/W – I count write for days about 1 of the top 2016’s in the country but I’ve covered her quite a bit. She’s ultra athletic and saying that doesn’t even do her justice. She’s off the charts. She grabbed a few rebounds that even the AATL fans “whoa”‘ed for. She scored 26 points and grabbed 9 rebounds, both game highs but did it without exerting much effort. Sarasota Christian – Their overall depth and athleticism doomed them versus Grandview Prep early on Day 1, but they had 1 player worthy of some mention. Heidi Miller – 5’7 2015 CG – Most likely a NAIA player, maybe good enough for D-2 interest, Miller does somethings really well but lacks the athleticism to be successful in D-1 or even Florida juco. She can shoot it decently but really does well distributing the ball to open teammates in places they can easily score. Grandview Prep – Like FAMU HS in the game before, their athleticism overwhelmed their opponent from the start, then they cruised to victory from there. They have 3 players worth mentioning, but it will be interesting to see on Thursday how well these same kids do when their athleticism is matched by FAMU in the championship. Ayana Emmanuel – 5’9 2018 Wing – It’s always fun watching a player get better from year to year. I have a feeling this will be the case with Emmanuel. She’s not great now, but she’s good with a big upside. She can knock down the 3 ball, but is selective with the shots she takes from deep. She can also move the ball well in the half court. In transition she displayed the ability to finish with both hands, scoring once in transition with a left handed lay-up following a nice euro step. Most likely will end up being a mid-major D-1 kid. 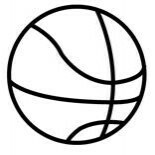 Nadiah Issac – 5’9 2016 Shooting Guard – Nadiah definitely looks the part and she can do some nice things, but she isn’t as assertive as Emmanuel and is already a junior. She’s got some nice skills and decent athleticism but hasn’t completely figured out how to take over a game. Look for her to be a juco/NAIA/D-2 kid, then if she goes juco has a chance to play low D-1. Kristin Rampersad – 5’6 2016 Combo Guard – She’s an interesting case of production vs talent argument. 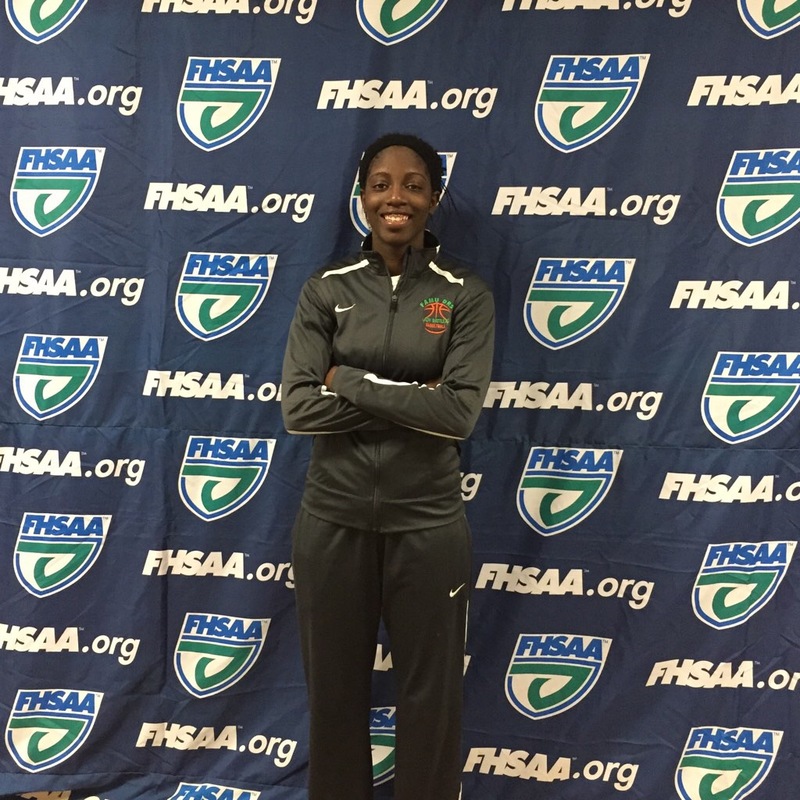 She puts up big numbers, especially in Day 1 of the FHSAA State Final 4. Before being literally knocked out of the game in the 4th quarter, Rampersad had 25pts on 5 for 9 from 3 point range. Therefore she could be considered a shooter, but she does more than just that. Despite the numbers, she does NOT pass the eye test. Therefore going D-1 will be her overcoming the perception that she doesn’t have the athleticism. It sure will be interesting to see how she does on Thursday in the championship vs FAMU. Until then I’m holding out a prediction on just what level she can play. I like her 3 ball alot tho. Reblogged this on Kenny Kallina Basketball. This entry was posted on February 17, 2015 by johnmcgraw49.